The Eleventh Circuit is not a fan of the the Interstate Land Sales Full Disclosure Act, 15 U.S.C. § 1701 et seq. calling it a "federal statute that has become an increasingly popular means of channeling buyer’s remorse into a legal defense to a breach of contract claim." See Stein v. Paradigm Mirasol, LLC (08-10983). Further, the court noted that "The Florida Supreme Court has interpreted the Disclosure Act differently than we do. See Samara, 556 So. 2d at 1099–1101. Although we respect its views, we are not bound by Samara’s interpretation even in cases arising in Florida because it is a federal statute we are interpreting. The Samara Court appears to have applied Florida statutory construction decisions in arriving at its conclusion. For example, it explicitly applied state law to give “great weight” to the HUD guidelines, id. at 1099, which is far more weight than we can give them under Skidmore v. Swift & Co., 323 U.S. 134, 140, 65 S. Ct. 161, 164 (1944). See infra note 6." As the Eleventh Circuit begins, the flux of ILSA cases began because "home prices [in Florida] rose eighty-two percent in absolute terms during that short period, outstripping the fifty-one percent national increase. 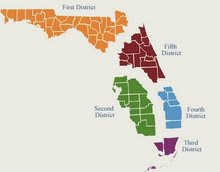 See Gabriel Montes Rojas et al., The Florida Housing Boom, 3 Fla. Focus 1, 2 (2007). All bubbles eventually burst, as this one did. The bigger the bubble, the bigger the pop. The bigger the pop, the bigger the losses. And the bigger the losses, the more likely litigation will ensue. Hence this case." The two examples that concerned the district court do not concern us. Delays caused by excessive rainfall or by the seller suffering a heart attack are not within the seller’s control or subject to its whim. No seller can command the sky to open up and more rain to fall, and we are not aware of anyone deliberately inflicting a heart attack on himself to delay the performance of a contractual duty. The Disclosure Act is an anti-fraud statute. See Winter, 777 F.2d at 1447. Allowing for reasonable delays caused by events beyond the seller’s control does not promote or permit fraud. It does not transform the seller’s obligation into an option...Even though the contract excuses delays beyond the seller’s control, it is still one “obligating” Paradigm to complete construction of the condominium within two years for purposes of § 1702 (a)(2) of the Disclosure Act. I will likely add more to this later.